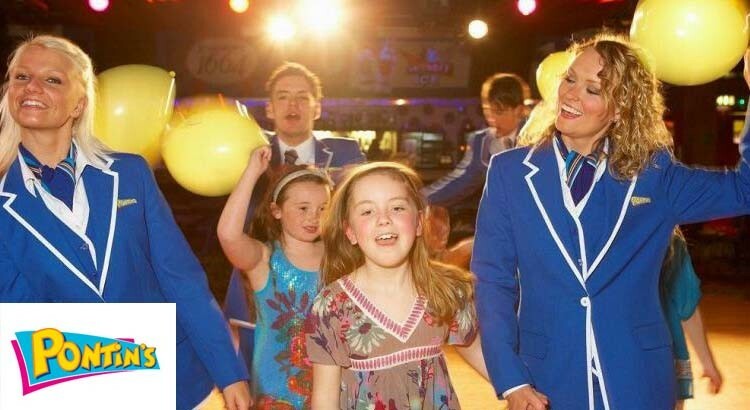 For a great value family break, Pontins offers the perfect choice when it comes to price, free activities and entertainment for all the family. What really makes a Pontins holiday so special is that their prices are just so cheap with many short break deals available from only £69. 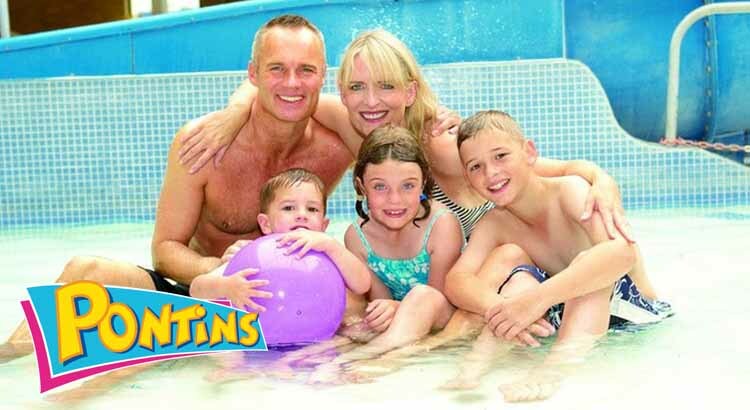 Check out the latest Pontins deals below as we are always on the look out for the best possible discounts saving you money off your next family break. If you like a bargain, then a family holiday at Pontins offers a great holiday choice that won’t break the bank. Their holiday parks are scattered around Britain, mostly in England, with the exception of Prestatyn Sands in North Wales. This means that wherever you are travelling from it won’t be a long journey which is a bonus when travelling with children. To see their holiday park locations simply visit the Pontins website. All the parks are in coastal locations meaning you and the family can venture out to the beach for lovely walks and picnics, perfect! There are indoor and outdoor play areas, Crazy Golf, Human Table Football, Soccer & Rugby Stars, plus face-painting, arts and crafts, circus skills and many more fun activities with the Bluecoats. Pontins entertainment programme is bursting at the seams with comedy, variety, magicians and cabaret for all the family. Captain Croc and his Crew of fun loving characters will also be on hand, keeping the children entertained from morning until night in their kids clubs, performing in their own special shows and providing laughter and games at Croc Crew Party Time! Not only are their breaksreally cheap, but also you get many free activities included for free, from taking the plunge in their indoor heated swimming pools to checking out their fantastic Water Walkerz, inflatable’s and slides. 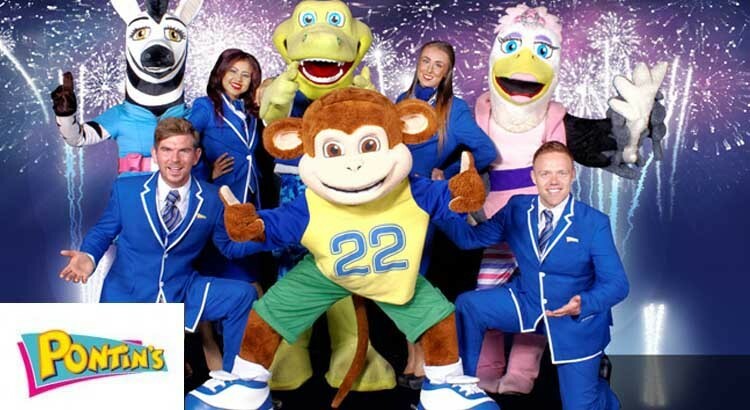 Plus you cannot miss their free entertainment provided by their famous Pontins Blue Coats. Located in North Wales this holiday park offers a wealth of holiday experiences with awesome scenery and three fabulous beaches. There are also many things to explore near Prestatyn Sands Holiday Park from the wild and rugged Snowdonia National Park, the Welsh Mountain Zoo or why not try your hand at the Llandudno dry ski slope. And don’t worry about the great British weather as there’s always the Rhyl Sun Centre with its surf pool, tropical storms and fun tubes or the Great Orme Mines where you can walk through tunnels mined over 3,500 years ago. Prestatyn Sands offers a choice of 3 standards of accommodation to suit all pockets and can be on a self catering or half board basis and if you need anything extra, you only have to ask and their friendly staff will be happy to help. Brean Sands Holiday Park gives you sand, sea and Somerset. With some of the most stunning beaches and glorious scenery no wonder they call it the “Jewel of the South West”. With spectacular sights such as Cheddar Gorge, Wookey Hole and the Clifton Suspension Bridge, Brean Sands Holiday Park is the perfect base to explore all the best of Somerset and Avon. Brean Sands offers a choice of 3 standards of accommodation to suit all pockets and can be on a self catering or half board basis and if you need anything extra, you only have to ask and their friendly staff will be happy to help. Situated on the South Coast of England, Camber Sands Holiday Park has the benefit of being close to a two-and-a-half mile stretch of golden sands enclosed by rolling dunes, which at low tide, the sea can be as much as half a mile from the dunes. Away from the beach the beautiful old Port Town of Rye is worth exploring, along with the old smugglers hideouts dotted along the coast and not forgtting the iconic white cliffs the area is known for. There is also a great variety of nightlife for all ages so the evening will be great fun too! The accommodation at Pontins is very versitile. There are apartments to accommodate families of different sizes and include ‘Popular Apartments’ and ‘Classic Apartments’. The Popular Apartments offer you comfortable accommodation at an outstanding price. They include a fitted kitchen, private bathroom, lounge with TV. All the Popular Apartments have either 1 or 2 bedrooms, so they can sleep up to 4 or 6 people. The Popular Apartment holiday accommodation has the facilities for self catering holidays which is ideal for families. If you would like to treat yourself to a real home from home then choosing the Bungalow option. With only one Bungalow available on each park you not only get exclusivity and privacy but also a prime location. Each Bungalow comes with a fully fitted kitchen, bathroom and well appointed lounge and dining area. The Bungalow’s are really high quality, so if you are looking for a comfortable relaxing holiday this is a great choice. There is a choice to go self catering, half board or full board. If you choose the self catering option there are many restaurants or food outlets if you prefer to cook in your accommodation. There is a convenience store to pick up all the essentials for your family so no need to fill the car on your journey! The store sells everything you need from fresh, quality foods, wines, beers and of course a few treats for the kids. If you opt to go half board then allow the trained chefs prepare you with a choice of traditional English or international dishes. From a hearty ‘all you can eat’ breakfast to a delicious evening meal everyday – not just at the weekend! If you fancy taking a complete break from the cooking while you are away the why not consider going full board? Every day you can enjoy freshly prepared meals served from a self service buffet. This includes an ‘all you can eat’ breakfast, a 2 course lunch and a 3 course evening meal. Of course one of the best thing about holidaying at Pontins is the fact that there is fantastic entertainment for all of the family to enjoy. The kids will love the shows and Captain Croc and his crew of fun loving characters will also be on hand, keeping the children entertained! So it’s easy to see why Pontins is such a great place to holiday with the family. Grab youself an Easter bargain with Pontins holidays. Secure a family break during Easter from only £149 at a choice of holiday parks throughout the UK. With free entertainment including the Amethyst, Twice Nightly and thier famous incredible Bluecoats. They also have a huge range of family friendly Easter Activities for everyone to enjoy! As a final treat before Christmas, why not treat the family to a great Pontins holiday this Autumn where breaks start at a bargain price of £59 per family during October Half Term. With apartments sleeping up to 4, this really is a cheap deal! If you are looking for a last minute caravan holiday or late deal on a family holiday then Pontins could be the place for you! There are plenty of cheap breaks available for all budgets starting from just £79 at a choice of holiday parks.